If you missed out on the Black Friday deals for Google Home Mini, Best Buy just listed more online stock. This is from their Toronto warehouse, and from experience, stock can vary by region. It is limited quantities so act fast if you want one. Some stores got stock today too, so worth checking your local store. If you are not familiar with Google Home Mini, it is a personal assistant in a box. You can ask it to remind you to check the oven at a certain time, keep your grocery list as you notice things are used, answer questions and more. 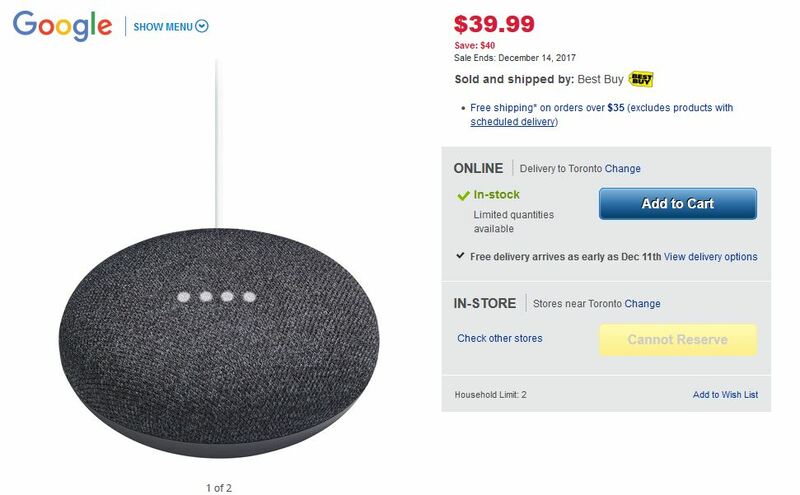 Shop Google Home Mini for $39 from Best Buy Canada here. Best Buy realized the are one of the few with stock. The device is now $10 more.